– Any and all types of crackers or cookies. – Pomegranate, Indian Apple. Grenadine syrup is thick, sweetened pomegranate juice. – Soursop. 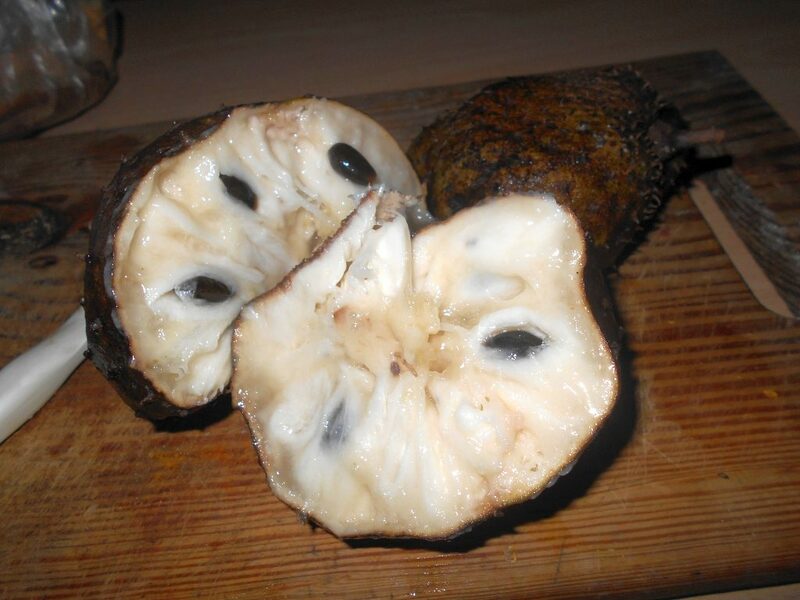 A tropical fruit with lots of creamy white pulp, black shiny seeds and a green spiky (the spikes are soft) skin. 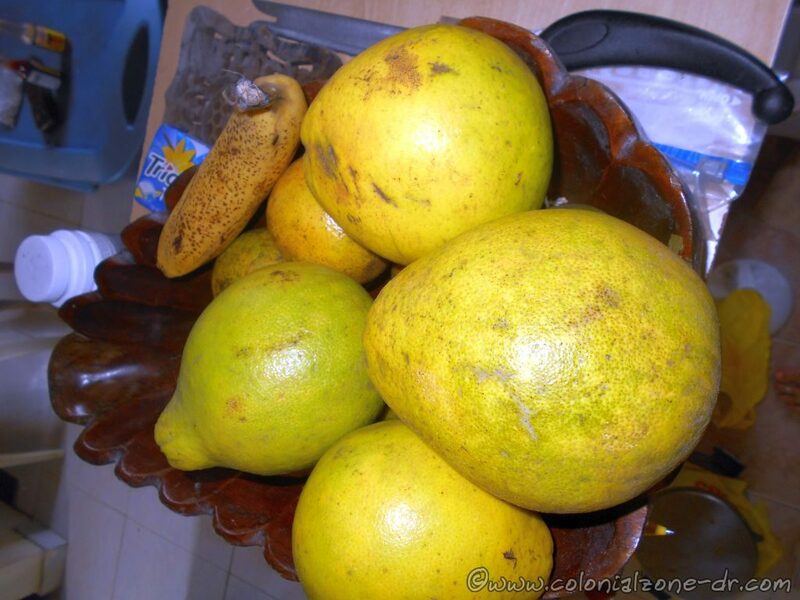 The texture is strange for a fruit but very sweet and tasty. – Pigeon Peas. A green bean that looks like a pea used in much of the foods here in Dominican Republic. They are wonderful cooked in leche de coco (coconut milk) and also moro de guandules (picture of moro de grandules). – fermented fruit drink. Guarapo de piña/ fermented pineapple juice. – Anything stewed (Rés Guisada – stewed beef; Pollo Guisado – stewed chicken). The typical Dominican lunch is usually some form of this stewed meat.